Normally, I prepare myself for a kaiju film. I'll look it up on IMDB, TV Tropes and Wikipedia, so I have some idea of the background of the film. 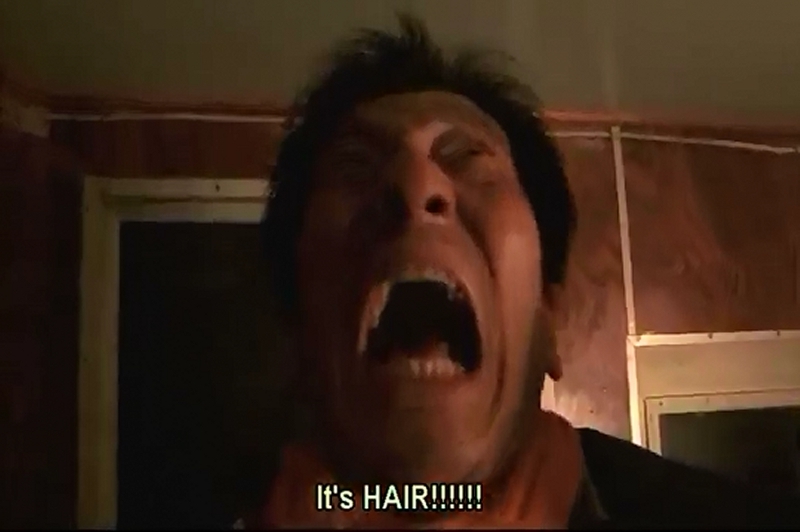 With Chohatsu Daikaiju Gehara, or Gehara: The Dark and Long-Haired Monster a 20-minute short from Kiyotaka Taguchi, I have basically no idea what I'm getting into. This is the debut directoral effort from Kiyotaka Taguchi, who has gone on to work on Ultraman Ginga and other Tokusatsu series. The opening is promising. The classic fisherman on a boat used in so many films, from Godzilla 1954 to Pacific Rim. Something is interfereing with the engines, and then something surfaces, and the sailors are pulled out of the cabin by HAIR! Yeah, this is going to be fun. 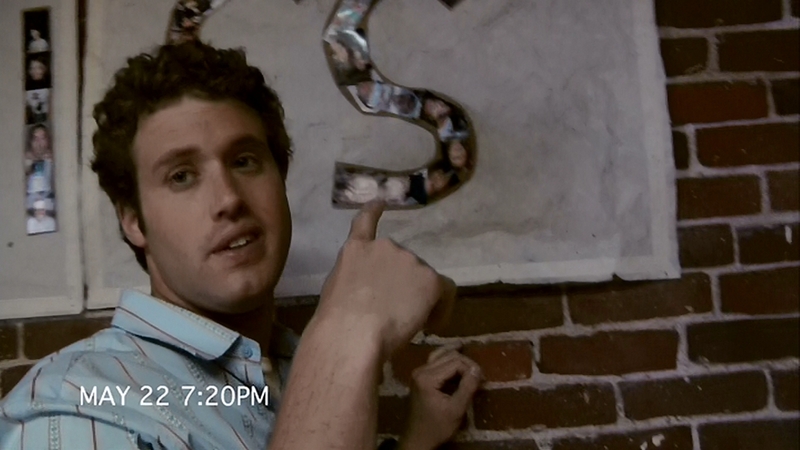 We have already established what this film is in less than two minutes. The classic monster from the great unknown sea, and it's not going to be serious. 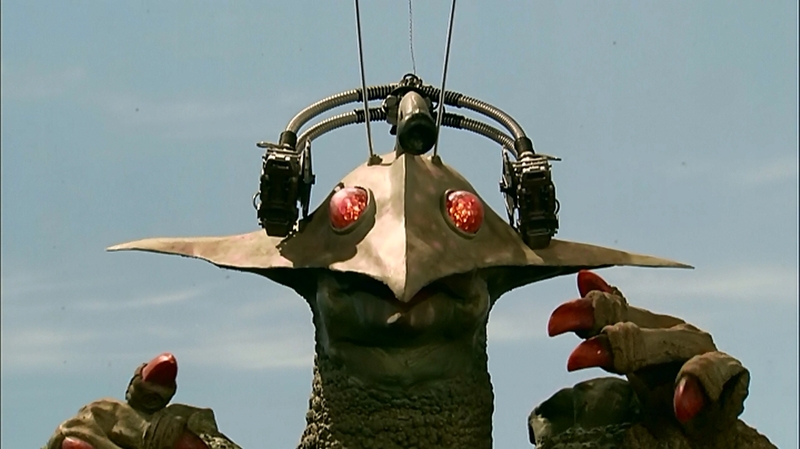 Hideo is a journalist, another kaiju film classic. He enconters an unspecified expert that says the monster might be a Keukegen. 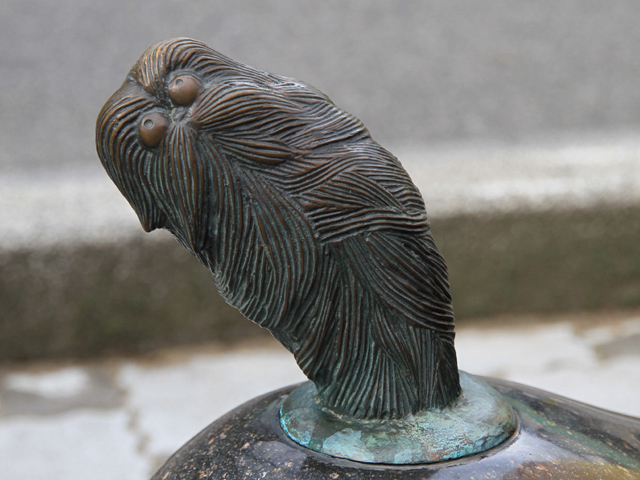 A little digging (by me) discovers that these are hairy spirits of Japanese folklore. A look into that discovers that Lik the Chinese and Hells, the Japanese have a lot of spirits. 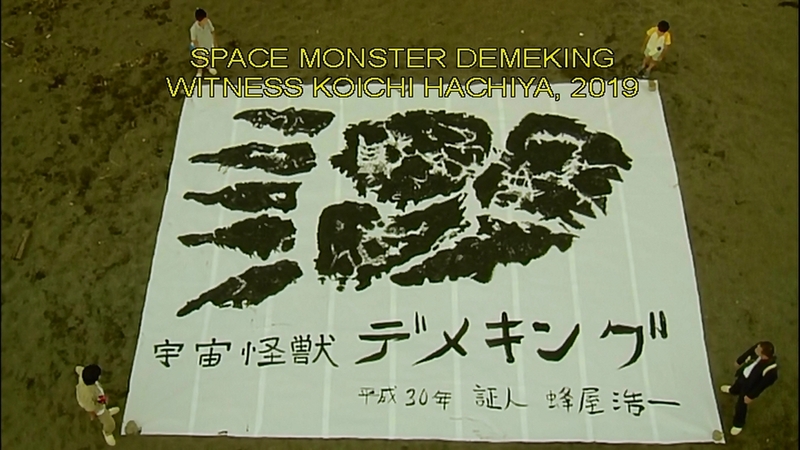 Our reporter goes to an odd shrine, putting me in mind of 2008's Monster X Strikes Back, to find out more about Geharha. 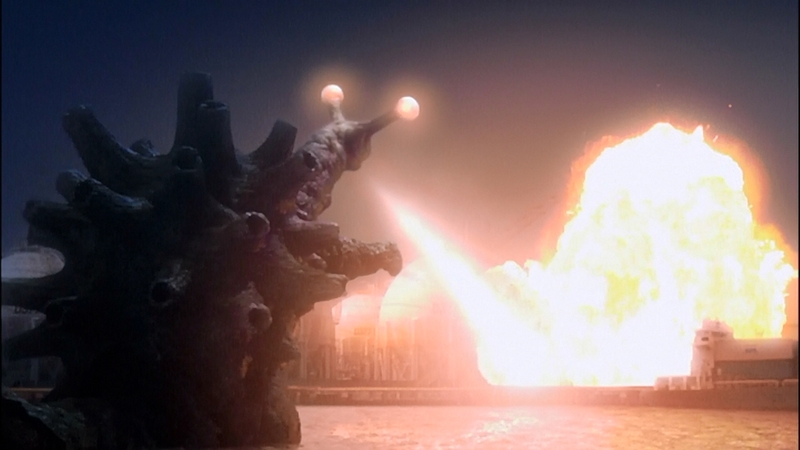 It turns out that the great seal, which is implied to have imprisoned the Great Geharha, a plot device used in the first Reborth of Mothra film, has been broken. Film crews track Gaharha's movement towards urban area Kanazawa, which I don't think has ever been attacked by a kaiju before. As a reporter describes the approach of the monster, two goofy kids are seen jumping up and down in the background, clearly enjoying being on television, not really taking the approach of the monster seriously. This portrayal of kids as senseless reminds me of the relentless dances that infested the mid-sixties kaiju films such as Frankenstein vs Baragon, Ebrah, Horror of the Deep, and the first Gamera film. Kids these days. And those days. When attacked by the military, Geharha responds with a reek, which I suspect is like burning hair. With the military stymied, an inventor steps in, and deploys the Gas Vortical Device. Which, when we get a close look at it, is just a gigantic fan. But once its hair is blown back, the tanks can home on on a vulnerable spot no longer hidden by hair. Geharha retreats to the mouintains, and falls into a lake. 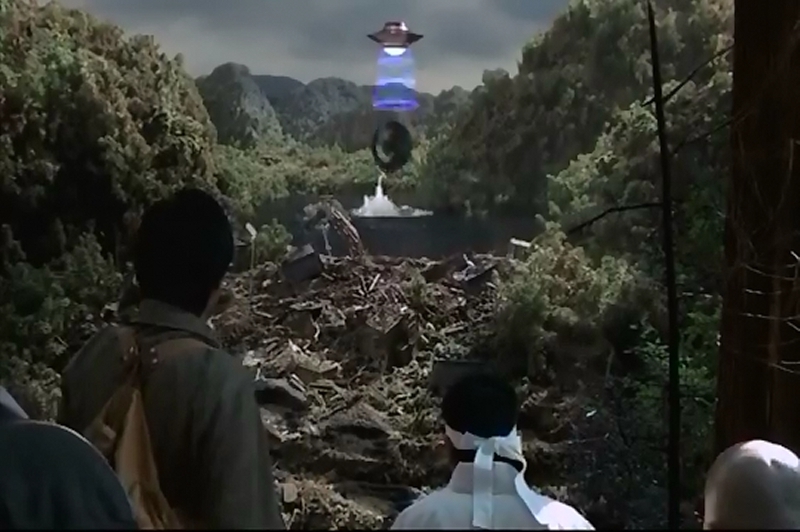 The End appears on screen, but then a UFO, similar to the ones from Invasion of Astro Monster uses a beam to pull Geharha out of the water, now clearly an homage to Invasin of Astro-Monster. 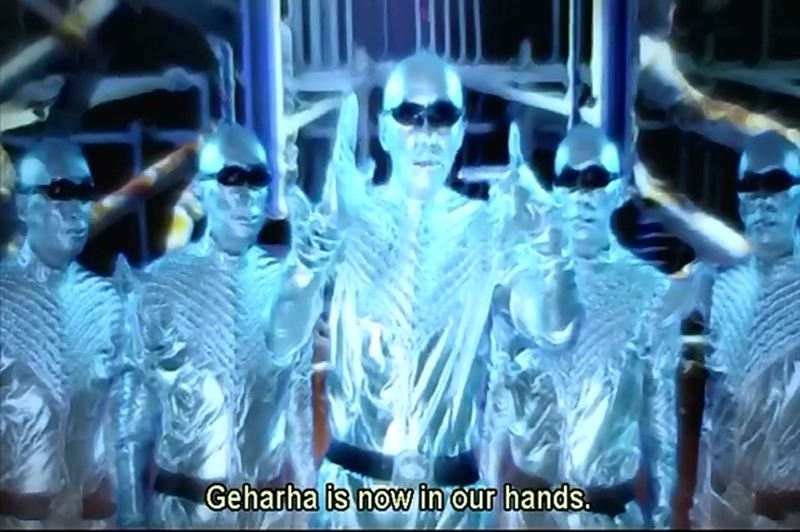 Silver-clad aliens then theraten to use Geharha to destroy the world unless all humans will bown down to them. 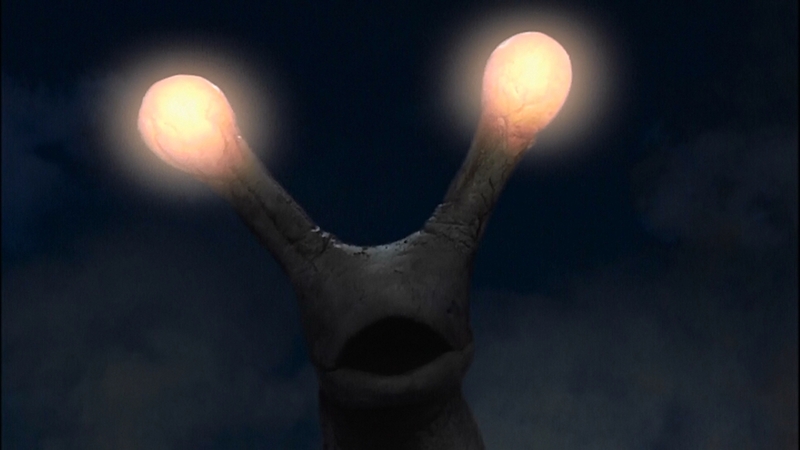 What follows is a trailer for Gehara: Monster Martial Law, which looks brilliantly silly, with the aliens attempting to subjugate Earth. It loosk faster-paced, and has a lot of explosions. 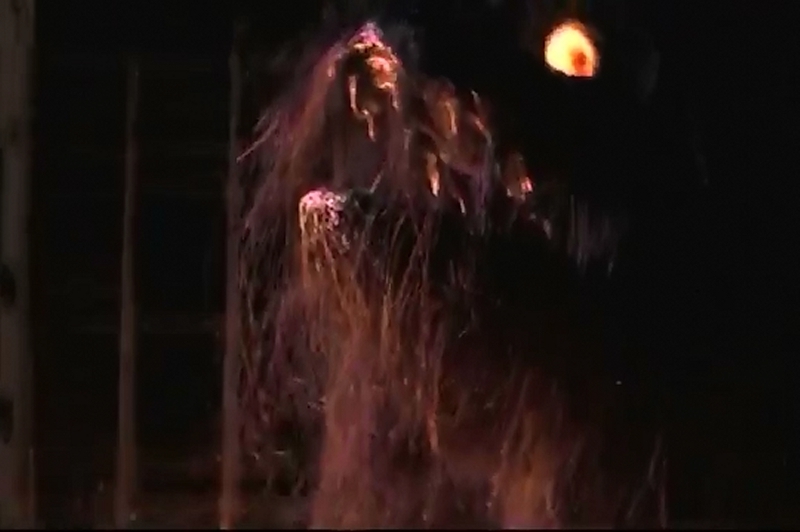 More than anything, Geharha: The Dark and Long-Haired Monster feels lke a demo reel for someone who wants to get into kaiju film. It's compact, getting in a large number of kaiju tropes in its twenty-minute running time, a whirlwind tour of such film. It wastes no time, but it doesn't introduce much that is new, either. The monster Geharha is new, but it doesn't do anything unusual. It rampages, and is defeated by a combination of the military and new sicence. There's little time to paint the human characters in anything but broad strokes. 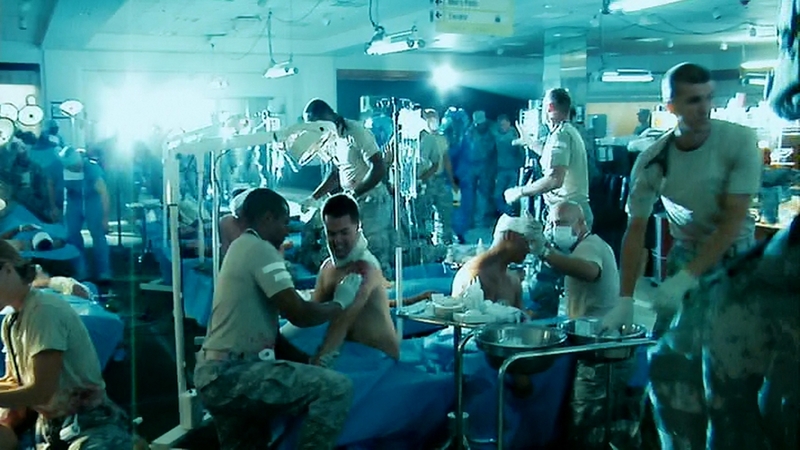 Still, it's effective for what it is, and clearly netted the director interest, because he's got work. Next week: Growing up in the Seventies. And a Kaiju. Some ideas have long, full lives. After being kicked around and taken seriously for years, even decades, there's often a moment when someone comes along to take the mickey out of it. In America, this person is often Mel Brooks, who spoofed Westerns with Blazing Saddles, Space Opera with Spaceballs. Each time, the parody has marked a trend on the wane. Westerns had been ubiquitous in the sixties, and were starting to fade by the advent of Blazing Saddles. 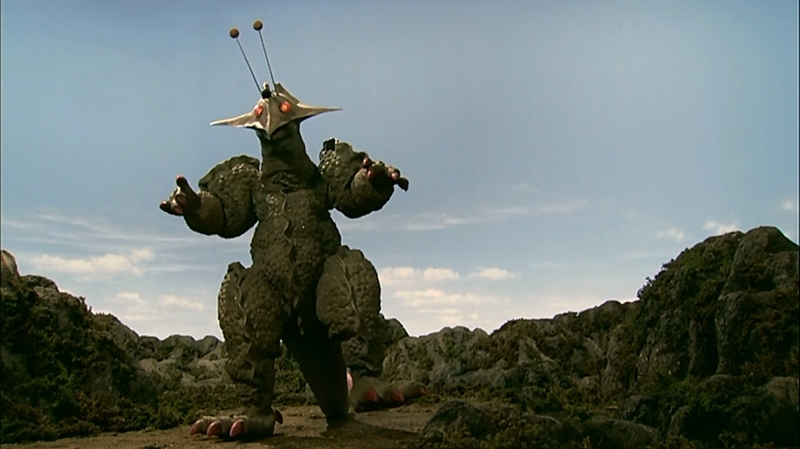 It was inevitable, then that the idea of the Kaiju film would also mutate. 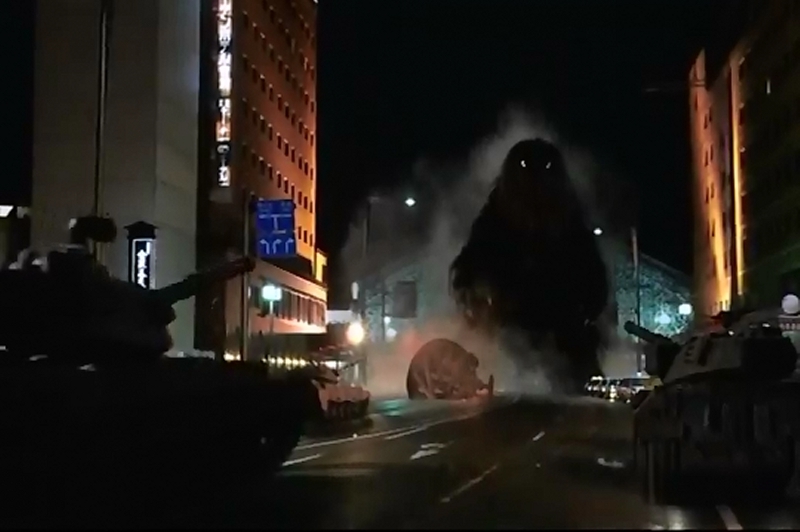 2008's Monster X Strikes Back/Attack the G8 Summit is one of two kaiju parodies to appear after Final Wars: Monster X Strikes Back, and Death Kappa. While these parodies of course mock the genre, they also preserve it. 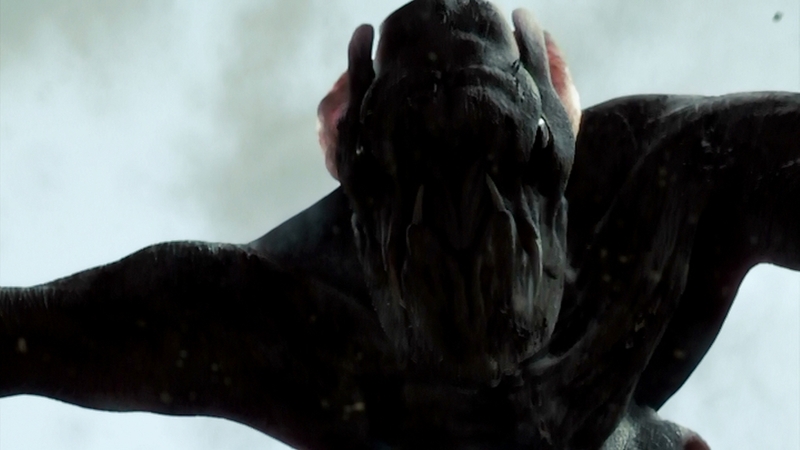 Very few films are using rubber suited monsters these days. 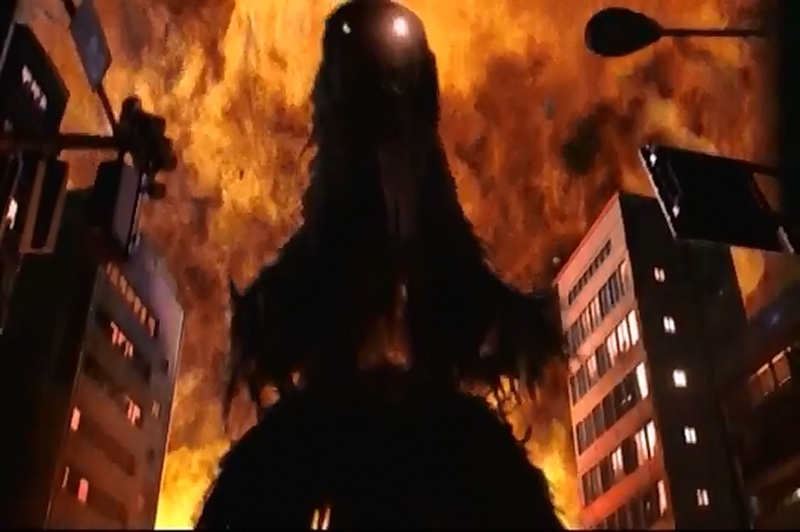 Godzilla was done in full CG in Japan for the first time in Always Sunny on Third Street 2. Although it's a brief appearance, it's quite credible. Low budget satires, then, are a way to keep the art of suitimation alive. 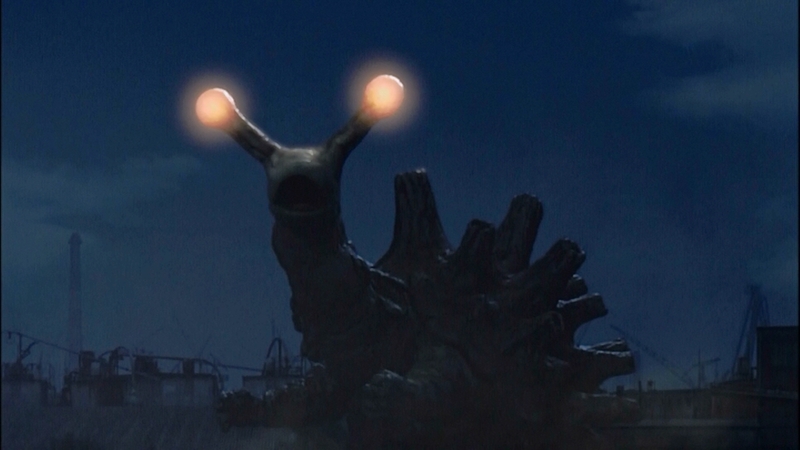 In previous kaiju films, the world has occasionally taken an interest in the plight of poor Japan, constantly under attack from various monsters. 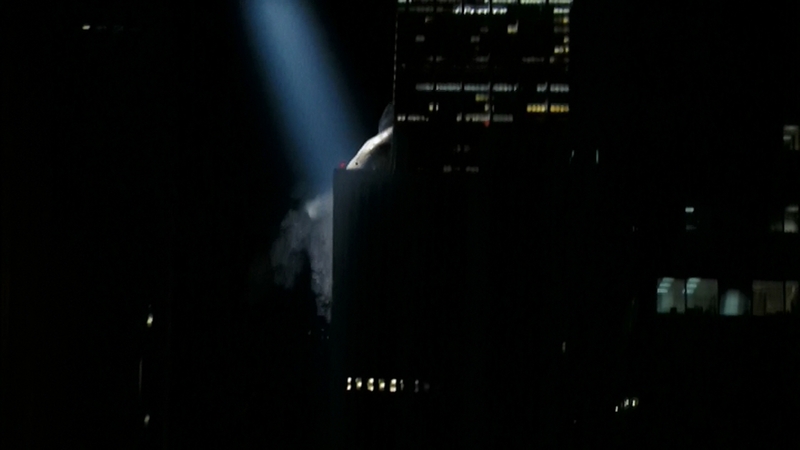 The off-screen United Nations is referred to in Gamera vs Zigra, for example. 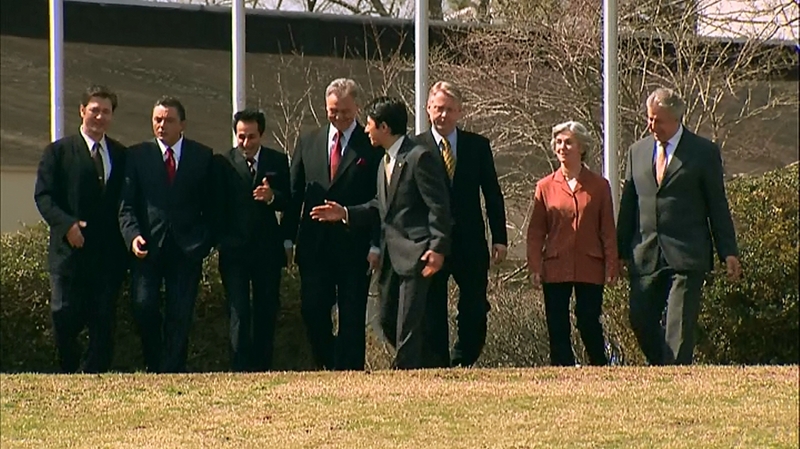 But here, the leaders of eight powerful nations (Japan, the US, Great Britain, Italy, France, Germany, Canada, and Russia) are together for talks. Each leader is a broad stereotype of the Japanese perception of the country: Canada constantly defers to Great Britain, the American is obsessed with his popularity, the French Prime Minister is looking to get the cute translator into bed. 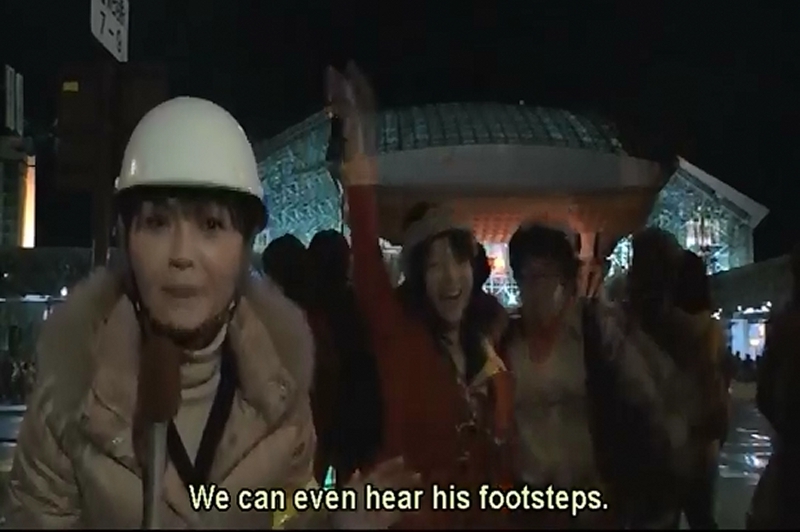 The other protagonists are the kaiju film regulars, the reporters. While the politicians argue, they are our common man, the people who go out and actually solve the plot problem of Guilala. Wandering around the Lake Toya region, they discover a group of locals performing a strange religious dance to Take-Majin, a warrior spirit. Primi Minister Ibe is on the defensive from the rest if the G8, having not reduced Japan's Carbon emissions. 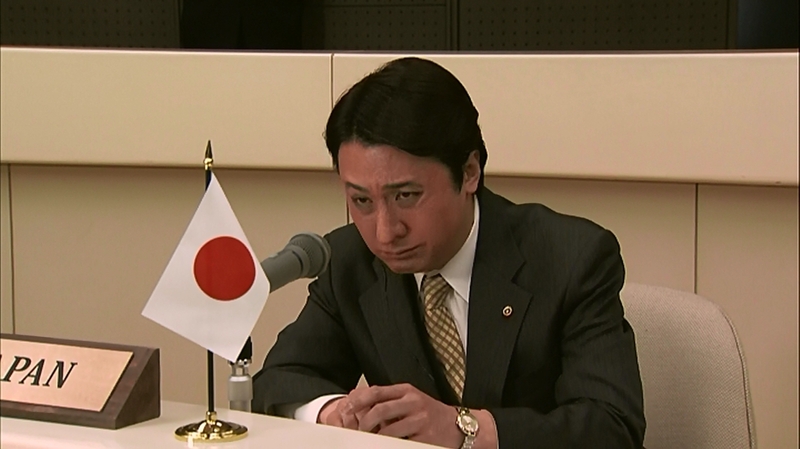 He is also suggering some intestinal distress, possibly echoing the 1980 conference in which Saburo Okita stood in for the recently-deceased Masayoshi Ohira who had literally died days before, as well as Geroge H. W. Bush's well-known social faux pas involving Prime Minister Kiichi Miyazawa. One of the better running gags for the film is the constant replacement of the G8 banner to reflect first that the world leaders are going to deal with the monster, and then as headquarters for each of the cockamamie schemes they come up with to destroy it. 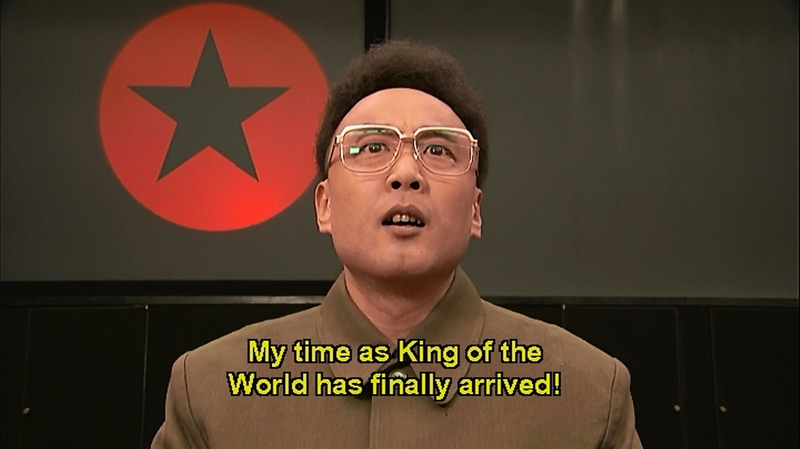 He is eventually replaced by Oizumi, the former Prime Minister. 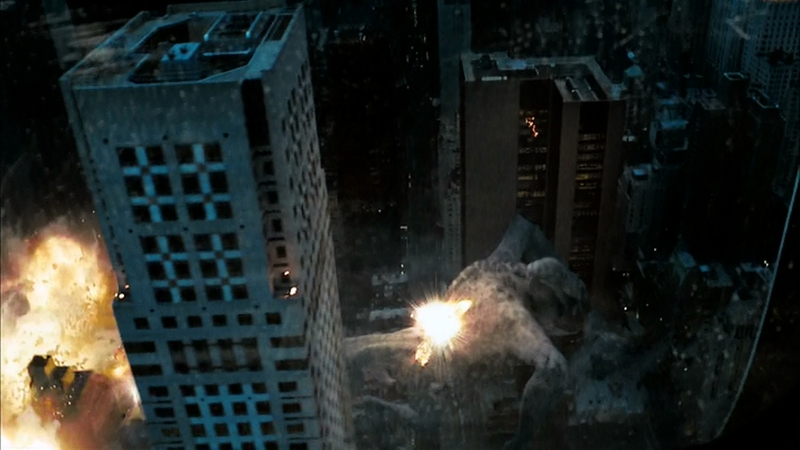 Sapporo is the town that gets hit, which has been previously attacked by Godzilla in Godzilla vs King Ghidorah and Gamera in Attack of Legion. So it's no stranger to getting wrecked. 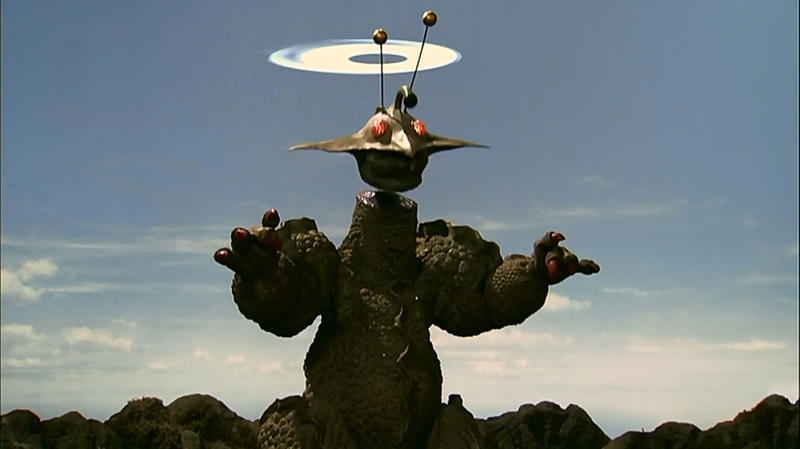 Guilala is the monster from the 1967 film Giant Space Monster Guilala, known in the US as The X From Outer Space. 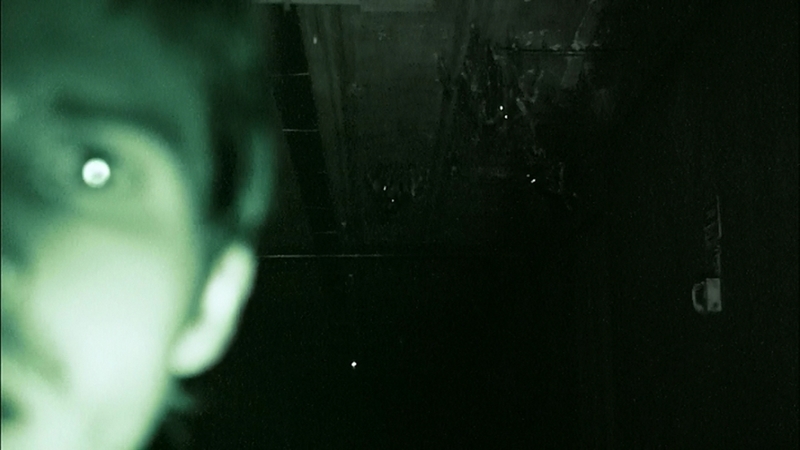 In fact, Guilala's initial rampage is grainy footage recyvled from the first film. 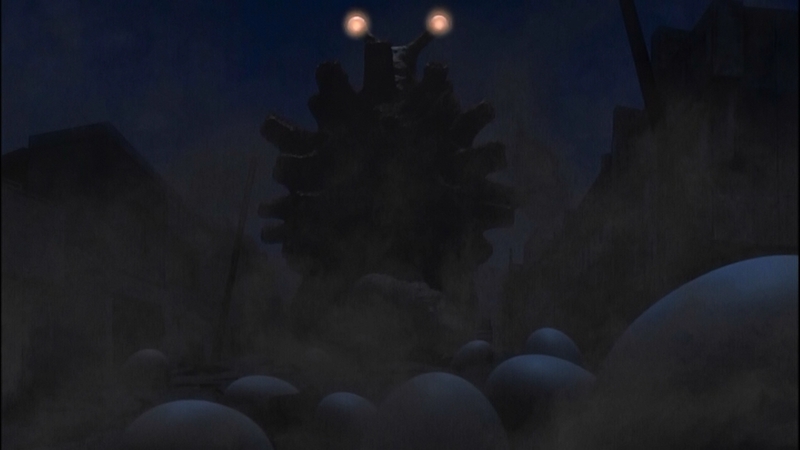 a fair amount of the rubber suit footage is recycled from the older film, but it would be unfair to compare this film with Godzilla-inspired remakes such as the 1999 Yonggary. 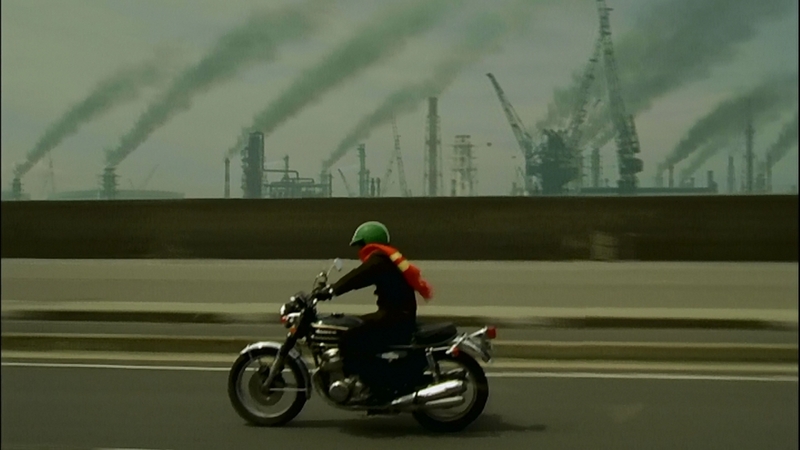 This is not a remake, but a not-so-gentle ribbing from a director who knows his kaiju film. There is more to this film than merely having a monster smash a city. The jokes come fast. The World Leaders use a toy Guilala to show its location on a map. A kid, who appears from nowhere, suggests the name Guilala. 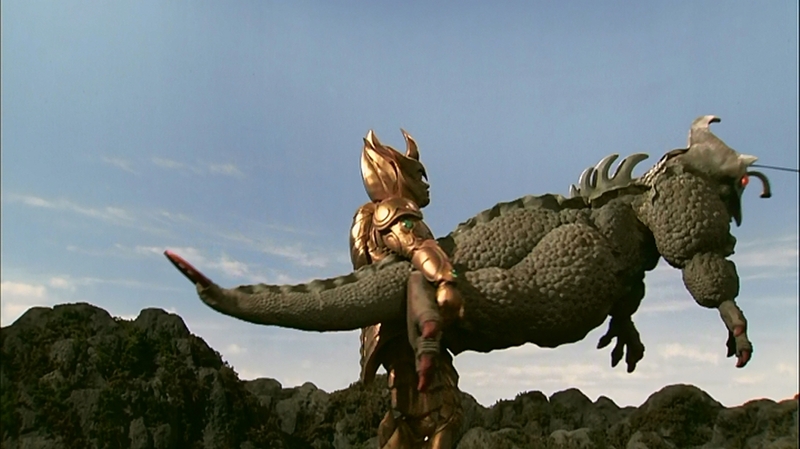 He is hauled away, as the audience has wanted to many of Gamera's boy protagonists hauled away, but everyone starts using the name Guilala anyway. 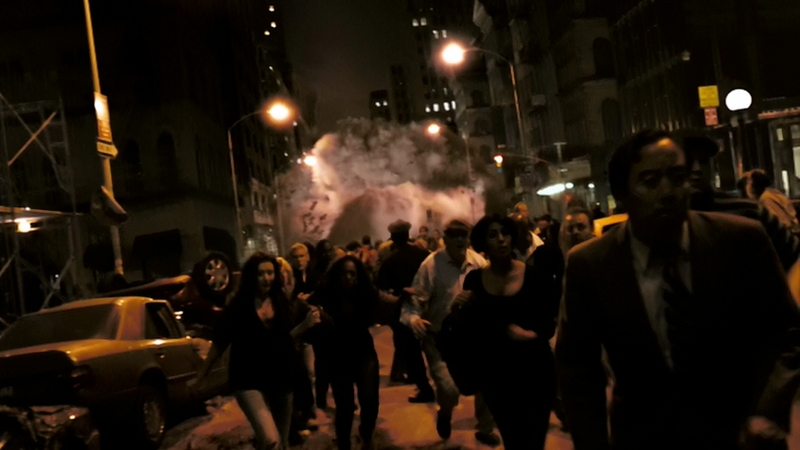 Several of the world leaders come up with schemes for destroying Guilala. The Japanese launch their more recent missile, but Guilala simple eats it. The Italian lures Guilala into a giantic pit (shades of King Kong vs Godzilla). The Russians attempt to poison it with their newest development, Polonium 210 (which killed Russian political refugee Alexander Litvinenko). The Germans attempt poison gas. The United Kngdom tries brainwashing. The French Prime Minister doesn't manage to get a plan off, he's too busy trying to get into the pants of his translator. This serves as a vital plot point later on. As each of the leaders fails to destroy Guilala, their flag is reduced to half-staff. When the Brits fail, the Japanese prime minster proposes the use of a nuclear weapon. 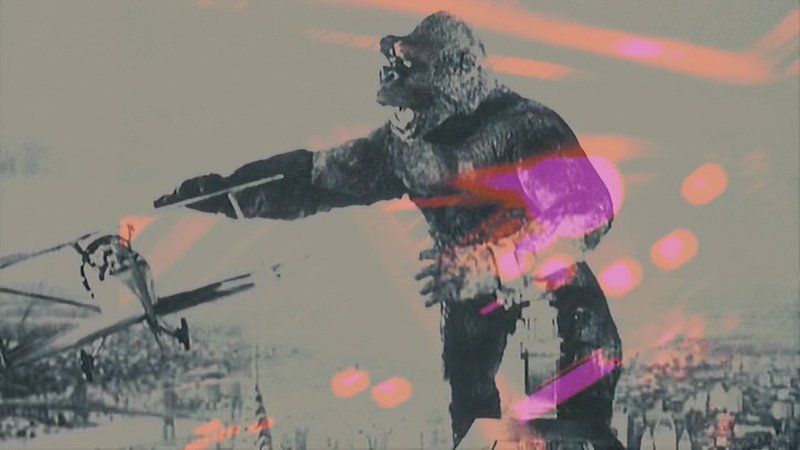 Nukes have been brought up as an option in several kaiju films, such as King Kong vs Godzilla, and there is that scene in The Return of Godzilla where the Soviets and the Americans argue over using atomic weapons on Godzilla. They have been used in the recent American films Pacific Rim and 2014 Godzilla. But this This is of course against everything Japan has stood for since World War II, as the only country that has been subjected to nuclear weapons during wartime. Former Minister Oizumi, it turns out, is not the minister at all, but the ruler of the North Country (unnamed, but clearly Kim Jon Il and North Korea.). 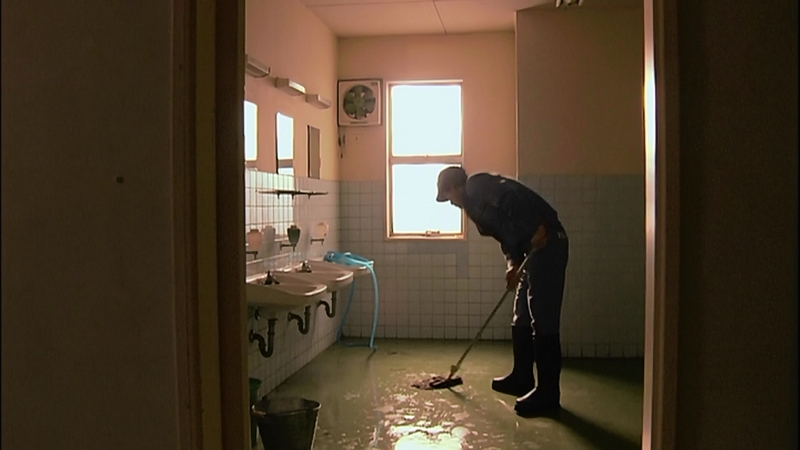 See the Pulgasari article for the complex relationship between North Korea and Japan. The translators, it turns out, are his also, and have been concealing M-16s... somewhere. All he really wants is to drop his Potaedong 55 missile with a nuclear warhead (North Korea had made its first nuclear test in 2006, two years before this film was released, and has done so twice more since then). Luckily, the reporter has been working with the villagers on summoning Take-Majin, a protective spirit or god destined to fight Guilala. Take-Majin is a warrior spirit, similar to Daimajin. 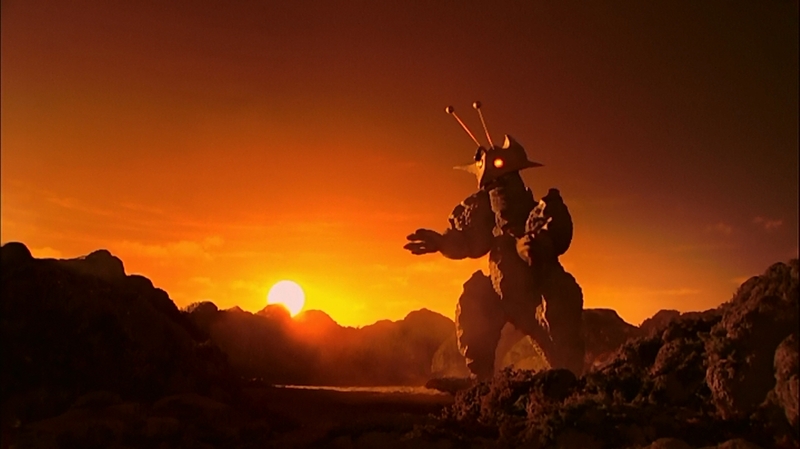 More humanoid than the kaiju, I wonder if these large fighting spirits are the ancestors of Japan's giant fighting robots. 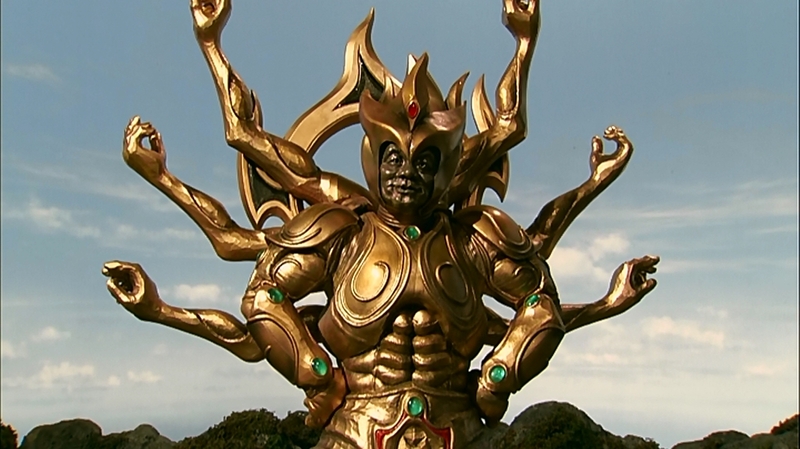 Lord Take-Majin has multiple arms like a Hindu god, but a more pleasant face than Daimajin. The day is saved by the French Prime Minister, who sneaks into the G8 summit that has been taken over by the Supreme Commander and distracts the translators by flashing them. 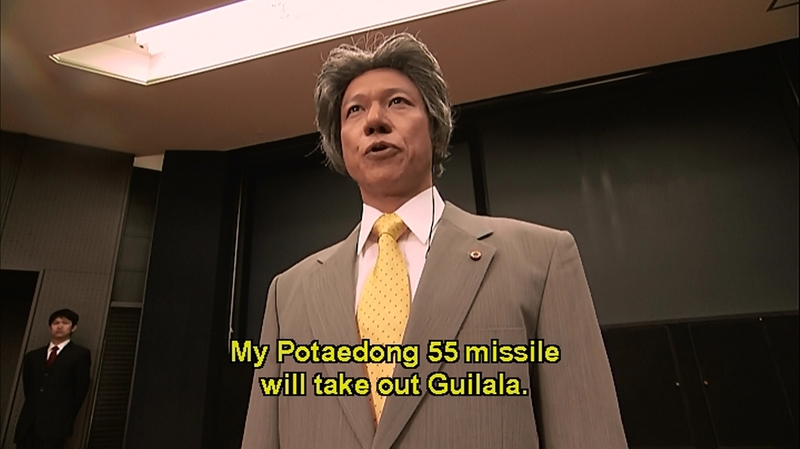 A melee ensues, but Kim manages to get his Potaedong launched. Lord Take-Majin intercepts the missile, and fights with Guilala. It's a pretty classic wrestling match, as you would find in just about any super sentai show. The end comes when Take-Majin throws a chakram, decapitating Guilala. The film is clearly made on the cheap, and I say that undersatanding that the director cared a lot more for this film than did the producers and directors of, say, Kraa the Sea Monster. But it's reasonably funny, clearly understands where its roots lie, and took some time with the script. The jokes are broad, the action based on stereotypes of countries, but there's a bit of effort to make them not completely cliche. 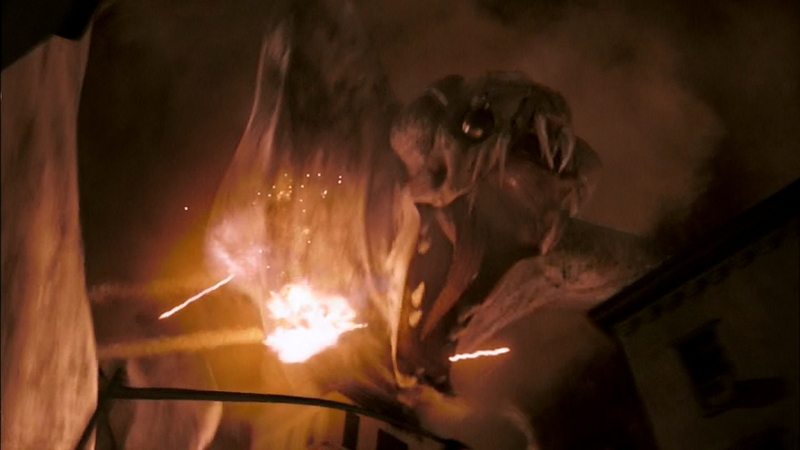 It's a fun film for the Kaiju groupie, if not a stellar acheievement.